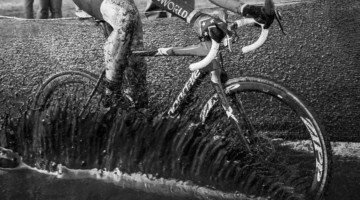 Nov. 4, 2016 – November arrives as the halfway point for the USA Cycling Professional Cyclocross Calendar (Pro CX), the highest level of professional cyclocross racing in the United States. This year’s Pro CX calendar features 44 scoring events, with a total of 23 races completed since September. Katie Compton (Colorado Springs, Colo./KFC Racing p/b Trek-Panache) sits on top of the Elite Women’s Pro CX individual standings and Stephen Hyde (Easthampton, Mass./Cannondale p/b Cyclocrossworld.com) continues his lead for the Elite Men. Through the first two months of the Pro CX season, Hyde leads the way for elite men with three UCI C1 wins, taking crowns at KMC Cross Fest, Charm City Cross and Cincinnati Cyclocross (Cincy CX). 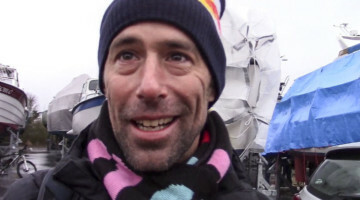 Curtis White (Delanson, N.Y./Cannondale p/b Cyclocrossworld.com) has won the most UCI C2 races, at KMC Cross Fest and both days at CRAFT Sportswear Gran Prix of Gloucester. 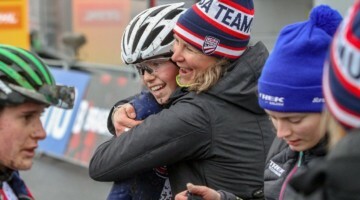 On the Women’s side, UCI C1 races at six events have been divided equally among three riders – Katerina Nash (Czech Republic/ Clif Pro Team) at Jingle Cross and Cincy CX; Katie Compton (Colorado Springs, Colo./ KFC Racing p/b Trek/Panache) at KMC Cross Fest and Charm City Cross; and Kaitie Antonneau (Racine, Wisc./ Cannondale p/b Cyclocrossworld.com) at Rochester Cyclocross and Trek CXC Cup. 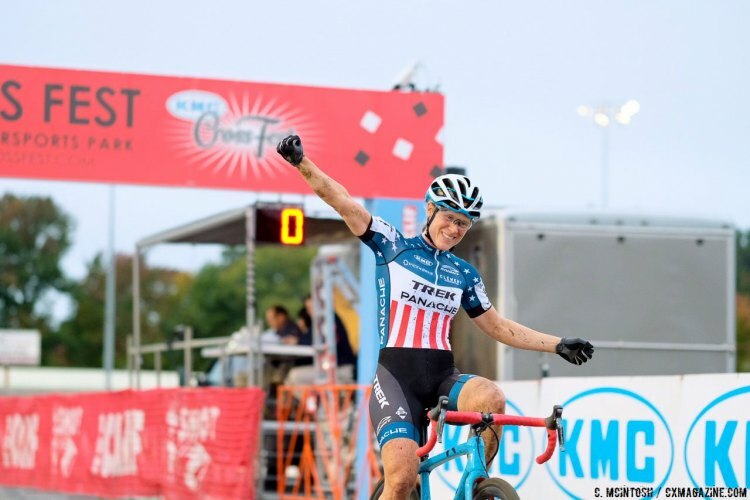 Compton has won the most UCI C2 races for the women, taking five so far this season at Trek CXC Cup, KMC Cross Fest, Charm City Cross, and both days at DCCX. Of the eight UCI Category 1 events on the 2016-17 calendar, the final two will take place in the second half of the season. The Derby City Cup in Louisville, Ky. (Nov. 5-6) and Ruts N’ Guts in Broken Arrow, Okla. (Dec. 3-4) will host UCI C1 races on the opening days of each two-day event. Both of these events will hold UCI C2 races for Elite Women and Men on Sundays. 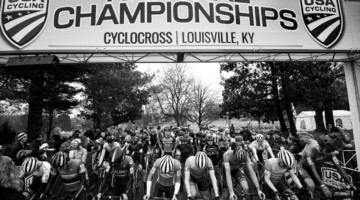 Managed by the Louisville Sports Commission (LSC) and Cadence Sports, the Derby City Cup is held at Eva Bandman Park, site of the 2013 UCI Cyclocross World Championships. A total of 19 UCI C2 races will be held in November and December across nine states for Pro CX points. The next races will be held on Saturday, Nov. 12 at Cyntergy Hurtland in Tulsa, Okla., and a full weekend of racing Nov. 12 to 13 at Verge Northampton International in Northampton, Mass. Cyntergy Hurtland returns for a second season and offers one of the largest, single-day prize purses for American cyclocross racing. 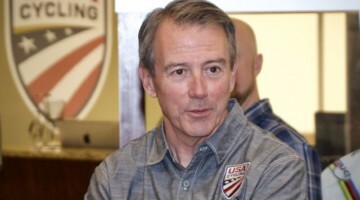 There will be night racing this year in Tulsa, with the Elite Women taking off in Owen Park at 5:20 p.m. CT and the Elite Men at 6:20 p.m. CT. Racers will again be tested on the championship-caliber course designed by reigning U.S. National Cyclocross champ Jeremy Powers. This season’s Verge Northampton International returns for a 26th time. Held at Look Park, this cyclocross stronghold of the calendar is the oldest UCI race in the U.S. It is the second of four stops on the Vittoria Northeast Cyclocross Series presented by Cycle-Smart. USA Cycling has opened registration for the Cyclocross National Championships January 3-8, 2017 at Hartford, Conn. The schedule for Nationals is also online. 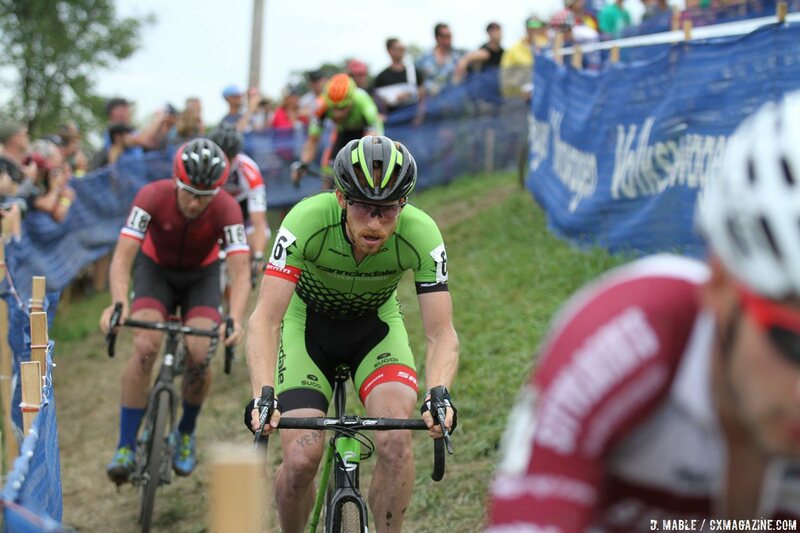 Follow the Pro Cyclocross Calendar on Twitter at @USACProCX.